The flavors of Phantom Classic White Portion are taken from Phantom Classic. But the white portions have a longer duration and are less moist. The classic tobacco flavor comes from the natural flavor of the tobacco but also from citrus, pepper and bergamot. It is this taste combination that has become the traditional tobacco flavor that we also find in other snus brands. 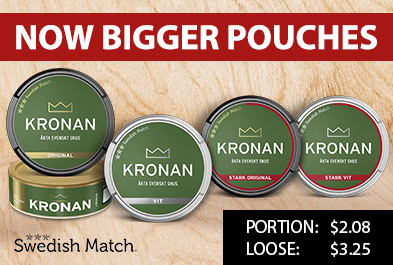 Phantom snus is a brand created by V2 Tobacco.